Keith Cheng is the Principal Investigator of the Cheng Lab. After earning his B.A. in Biochemical Sciences at Harvard University, he earned his M.D. at NYU. He began his residency in Anatomic Pathology at Brigham & Women’s Hospital, finishing his residency at University of Washington before earning a Ph.D. in Genetic Recombination. After finishing his postdoctoral training in Mechanisms of Mutation at the University of Washington, he began his current role as Principal Investigator of the Cheng lab at Penn State Milton S. Hershey College of Medicine. Beginning in 2007, he founded the zebrafish atlas of microanatomy (www.zfatlas.psu.edu), using low-throughput methods to establish a foundation of digital 2D imaging that can be applied across genetics and clinical medicine. The resolution of the 3D data generated provides a potential scope of analysis that is unprecedented – from the cellular to the whole-organism level – for a vertebrate animal through its life span. Automated feature extraction and measurement will require a level of computational power that is now within reach and is quickly becoming more economical. By applying the benefits of high performance computing to the analysis of microCT data within phenome projects and integrating that with human and model system data, the team will be able to answer questions about biological systems and aspects of human disease that have been beyond our reach. 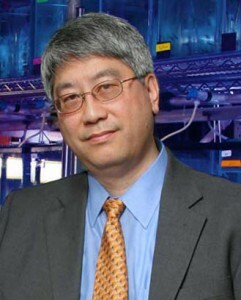 He hopes to use these technological advances to develop a novel means of probing the function of all human genes, adding a third dimension to computationally-derived, quantitative analysis of human tissue at cell resolution, and contributing a more detailed, more integrated, and yet more cost-effective whole-organism approach to environmental management.